Have you ever noticed how there are no superheroes who have full beards? Sure Wolverine has those goofy sideburns and occasionally Ironman is permitted to wield some stubble but where are the beards? Answer: in an alternate universe. With DC bringing in Convergence and Marvel wheeling out their old Secret Wars summer blockbuster it looks like we might start seeing a lot more beards around the major comic book universes. Comic book writers have been using the beard to distinguish alternate characters for as long as there have been alternate characters, shave Superman’s hair off and slap a beard on him suddenly he’s darker and more aggressive. There is a bit of social science at work here…Beards are a sign of hard times.In the last recession the sales of shaving equipment dropped 12% and this is just the tip of the beardberg. According to research from the BBC beards are a sign of over population and the effort of Darwinian evolution to divide the male populous (If your interested have a gander here) . Personally, I don’t give a hipster’s tip jar about that,but it creates an interesting subtext when the designer for the next alternate version of Howard the Duck makes him bearded. A bearded hero is one who is living in dark times, in a period of economic and political oppression. 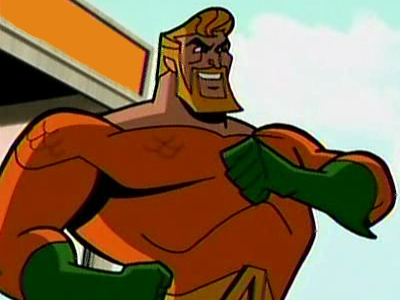 I’m sure someone will comment about the times when both Aquaman and Thor have sported fairly hefty amounts of facial hair but these cases are interesting in their own right as they come from storylines written in the late eighties and early nineties when we were globally experiencing our last economic downturn. That is to say that beards are not only a sign of economic downturn but so are bearded superheroes. Except in film. The superhero film industry is one that has boomed over the last decade as the world’s economy has sunk like a drunken titanic. This is due to the escapism and optimism that the world of Superheroes evokes when brought to the big screen, when we are presented with real life heroes who we can relate to. But most of the time instead of being inspire we chose to talk about dumb things like why none of them have beards.